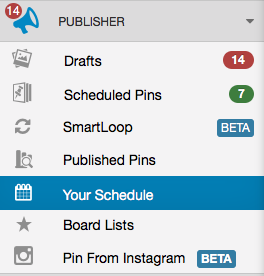 Create a brand new Smart Schedule with optimized Timeslots in just a few simple steps. 2. On the left side of the page, click Recreate Schedule for your general queue or SmartLoop schedule that you'd like to change. 3. 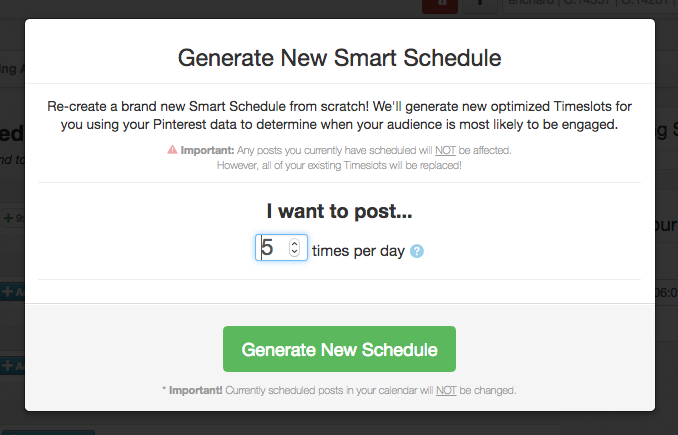 Enter the amount of timeslots you want per day, or how many posts per day to be published and click "Generate New Schedule."